2nd day: We attended the international symposium on biodiversity and ecologyof wildlife in Thailand at Chulalongkorn university. During this symposium, wevisited the museums in department of biology, faculty of science, Chulalongkornuniversity. 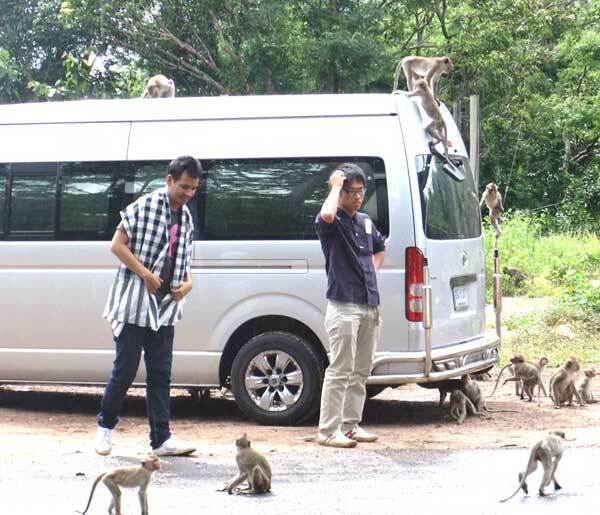 3rd day: We did the research on long-tailed macaques at Phana district, Amnat Charoen province, guided by Dr. Suchinda. There were about 1000 long-tailed macaques there and they consisted of 4 groups. I counted how many long-tailed macaques were in the biggest group and the group was composed of about 400. I found a long-tailed macaque that he was good at walking upright and I thought interesting why he could do so. 6th,7th day: We did the research on white-handed gibbons and pig-tailed macaques at Khao Yai National Park Nakornratchasima province. We found the gibbons by hearing them singing. They were on the top of the tall trees, so wecouldn't watch them clearly. They used some types of songs and it can be thought they communicate with members in their group and others groups. We meta group of pig-tailed macaques before dinner. 8th day: We did the research on stump-tailed macaques at Khao Krapuk-Khao TaomoNon-hunting area Petchaburi province, guided by Ms. Sachiko Okazaki. 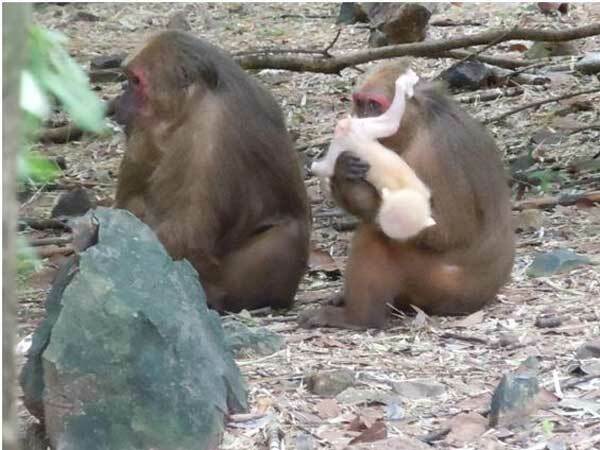 When a couple of male stump-tailed macaques fought with each other, they used a baby to be reconciled.